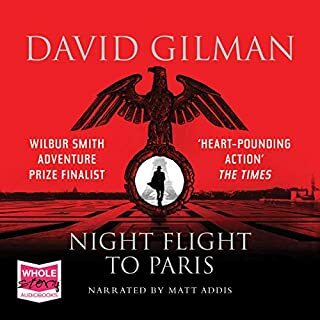 As far as I am concerned, this book is an excellent example of the very best an audio book can be. The narration is the best I have heard, the performance is amazing. 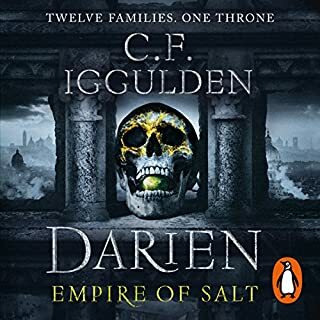 At times I thought there must be more than one narrator the different voices were that good. And the story is up to Cornwell's high standard, it is excellent. This series gets better and better. Love these books, how they are written and read. This one was great but not as amazing as the rest. 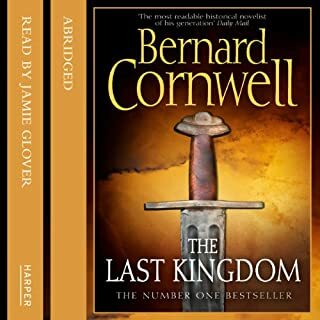 BC continues the Last Kingdom series with this great addition to the saga. 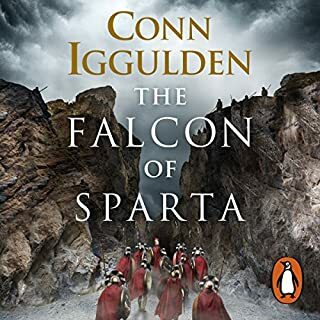 Love the story, characters, dialogue and the brilliant narration. Looking forward to the nrxt book already. One of the greatest writers. Loving the story line, both my son (Aged 14) and I thoroughly enjoy the saga! It’s great bonding while taking through the books story! 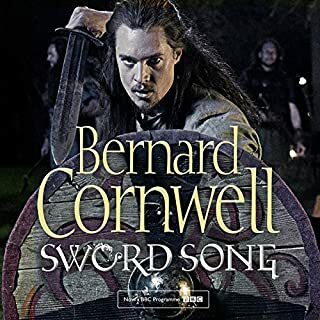 Keep up the good work Bernard Cornwell. 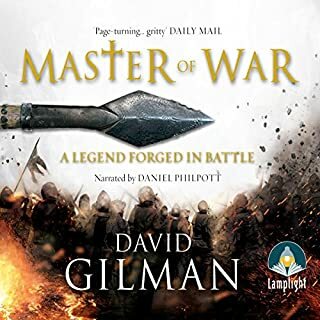 I pre-ordered this audiobook because I love the series so much. Matt Bates has given an amazing performance, changing his voice every now and then to emphasise different characters. Definitely worth listening to! I am already looking forward to the next one in this series and I hope I don’t have to wait for another a year like this one. 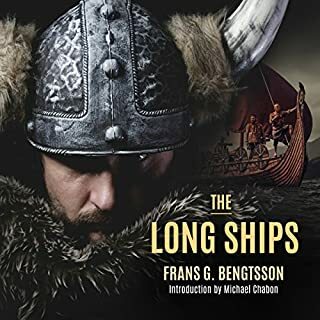 Although a great story, the opening started at Chapter 7 or 8 and the second half of the book played first, with the ending in the middle of the recording. 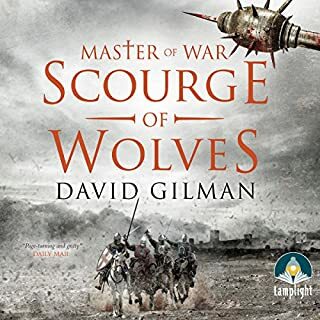 Not what I expect from Audible and to be frank, it ruined a good book and story. 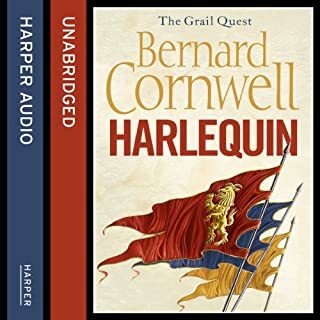 Audible at fault not Bernard Cornwell. When is the next one coming??!!! 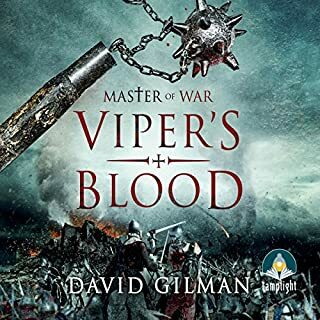 I have been waiting with bated breath for the latest addition to this outstanding series and in all honesty I could not put this down. 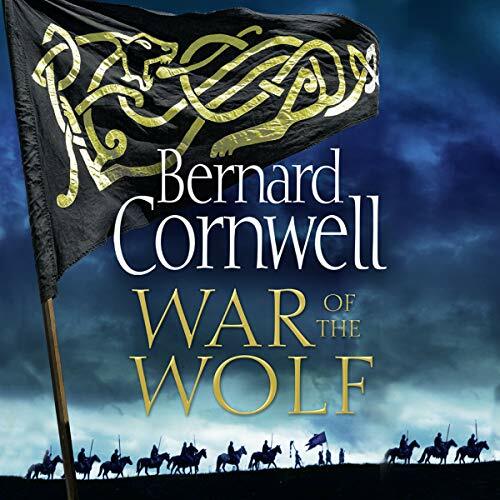 As with all the previous instalments this one leaves you wanting more, brilliant again from Bernard Cornwell. A book you can not stop reading until you get to the end. The pace of the War of the Wolf is fast and furious. You can not put it down as you have to find out what will happen next. 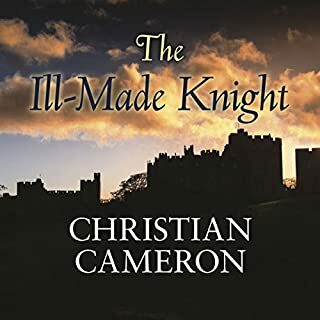 You are swept along with Uhtred, feeling his frustration with the situation he finds himself in, the limitation that his advancing age has on his strength and speed and his pain at the death of his daughter. I was expecting that while one of his warriors disappears early on in the final battle, that he would turn up later and have some important consequence and was pleased to be right. Good triumphs over evil and the reader draws a breath of relief. But then you realise it’s a long wait until the next instalment. 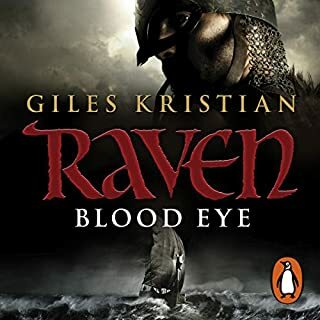 I may be bias as I have been reading these books since the release of The Last Kingdom and have never been so addicted to a series of books, still after many years, and although Uhtred is getting ridiculously old and its hard to picture a grey haired old warrior still being so succesful in battle sometimes, I am on the edge of my seat despairing at having to wait for the next installment, as I always am when finishing a Saxon Series. 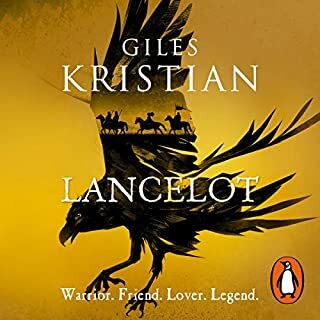 The narrator they use is excellent in my opinion, so much so that I prefer to listen to the Audible versions because he reads in a way I prefer to hear the words spoken rather than the accent in my own head! The northern touch is spot on. 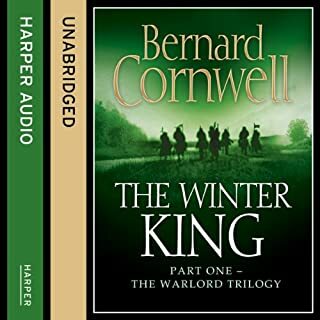 I couldn't have imagined what could of become of Uhtred after claiming back Bebbenburg and always thought that would be the end so it was bittersweet for me when that happenned, but of course he couldn't just sit around and live like lord of the manor, hes a warrior, and this book is again so full of trials, intense gutwrenching situations, battles, and many fascinating characters that it holds as much suspense as the first stories. Enemies are as fearsom and unique as always. It would be wonderful if the tv series could go on this far, Jeremiah (bearing in mind, I have block listened to this, so I am guessing on the spelling there) is a hilarious colourful character and would be amazing to bring to life, and I think one of my favorite characters in all the series to date. 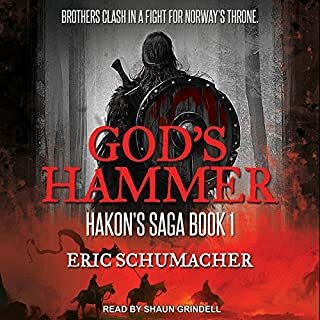 In my opinion, The Saxon Series is a series that never fails to live up to expectations and I enjoyed this latest from start to finish. I am glad to see the series gaining notoriety in a tv series and watch that hoping it never ends along with the books, although the adjustments to screen often leave me irritated because they cant cast you into really feeling like you are emmersed in the situations with Uhtred that BC does, for instance seeing Uhtred on a horse riding to battle is nothing compared to the sense of realism you get feel when they ride through the fog to battle at the end, you can almost smell BC's battles but that doesnt come across on screen. I'm personally hoping that in a future novel there will be some reuniting events and story incorporating back the lost and gelded first born son. It has felt like an uncomfortable loose end and injustice and it would be nice to have some closure. 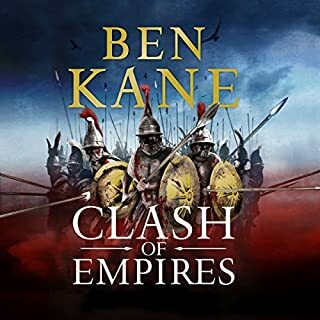 I have to leave the 900s now which I always feel esconsed in when reading/listening to these and get back to the present day sadly. 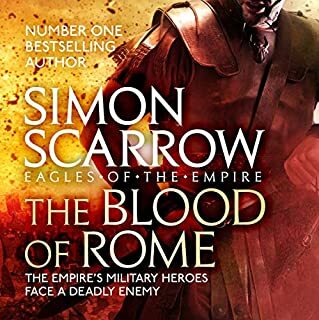 Another enjoyable yarn from the Saxon Chronicles. 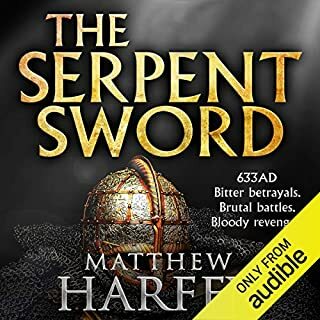 Uhtred of Bebbanburg continues to get the better of all those who seek to destroy him.A little more thought provoking than previous tales although that's not surprising as the eponymous hero has now reached his 60th year. Another great story well told and fantastic acting. You really feel as if you where there. the heroes were not as heroic as I'd have expected. I suppose Ultread is getting old though. In that regard it reminds me of sharpe's devil. I can't give it 3 stars so it scrapes a 4. the narrator gets a solid 5.